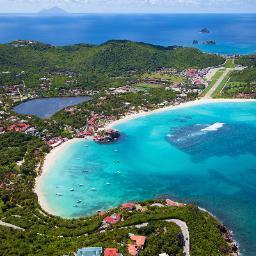 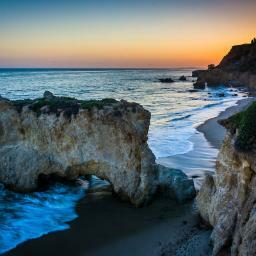 A crescent of sandy beach forms a harbor, which provides wonderful swimming, surfing, surf fishing, and beach-combing opportunities. 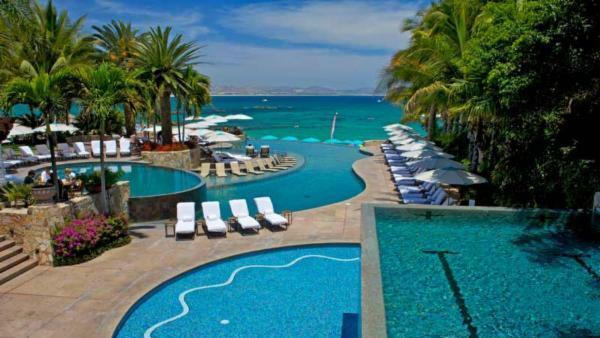 You’ll spot sleek marine vessels frequently anchored in the harbor before they return to their slips in the new San Jose Marina. 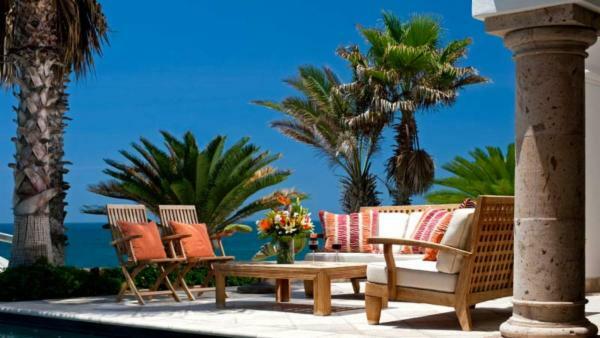 Shrimpers scour the sea’s offshore waters in search of the renowned “camarones”. 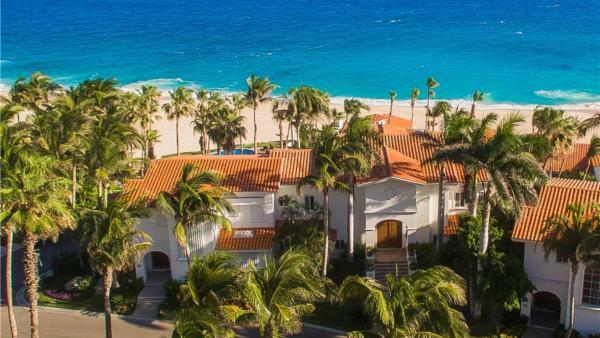 Lucky visitors may be fortunate enough to spot a breaching whale off Palmilla Point. 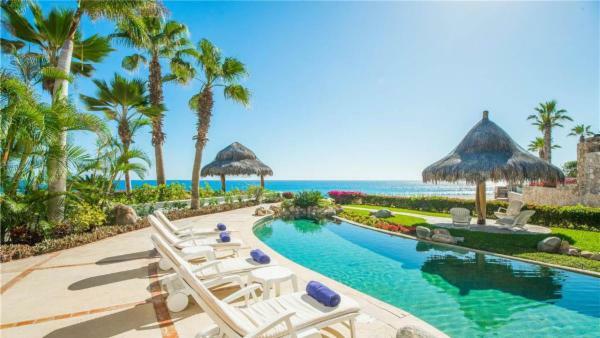 Even if you don’t spot one of the massive aquatic visitors, you will still be treated to the sight of the impossibly blue water and the sounds of the crashing surf. 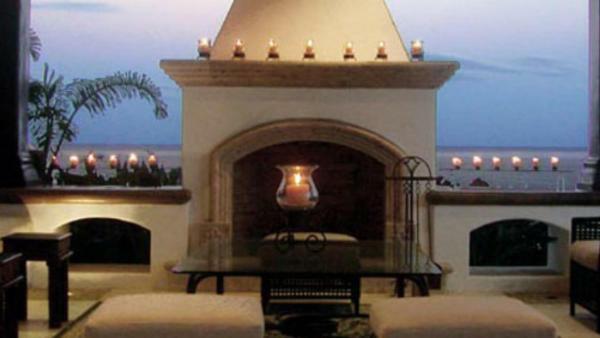 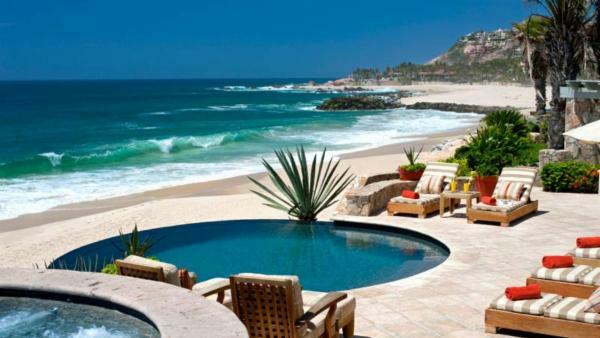 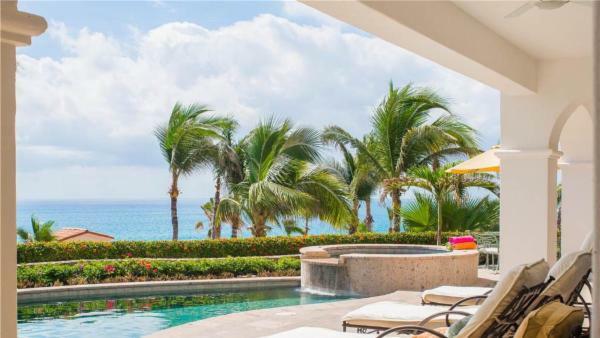 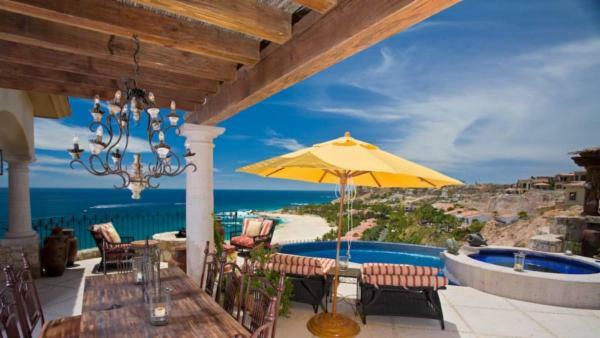 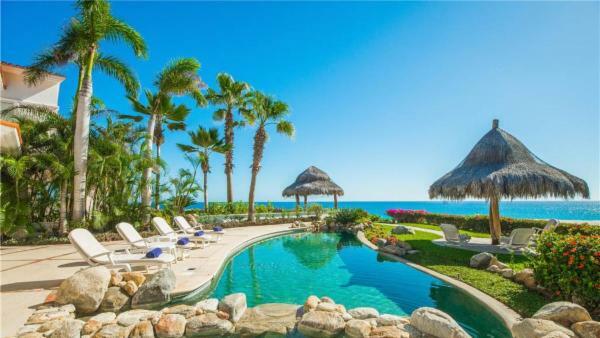 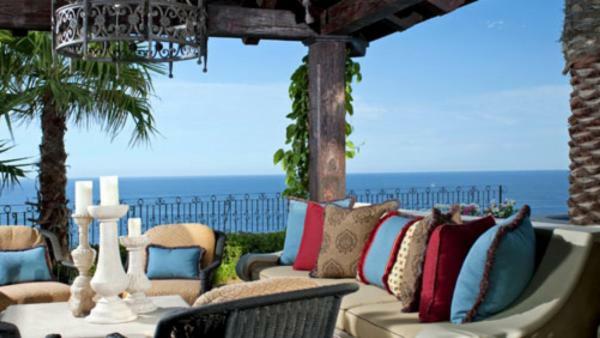 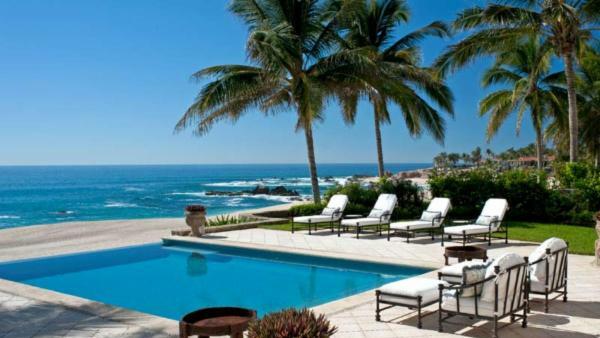 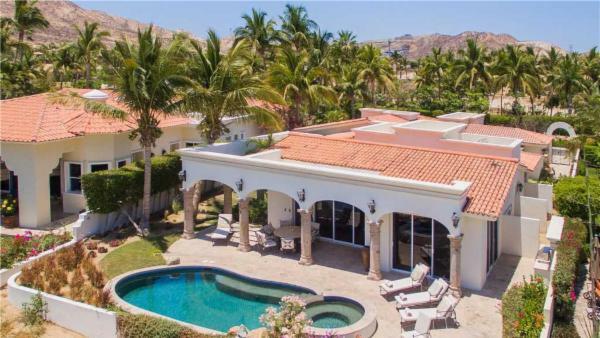 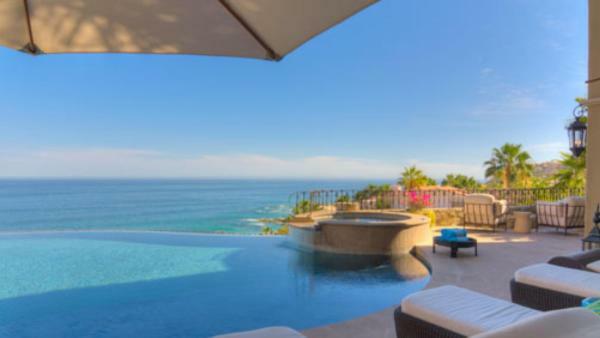 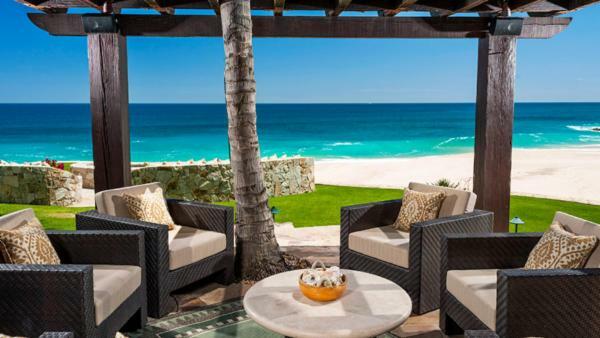 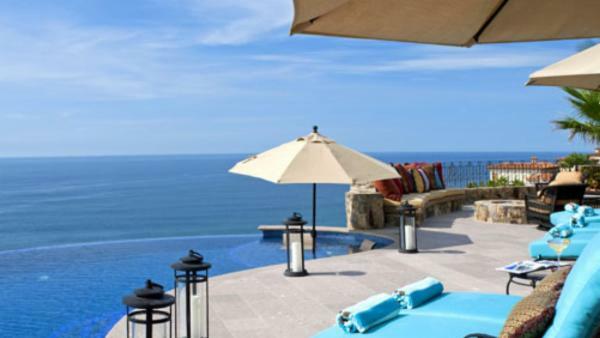 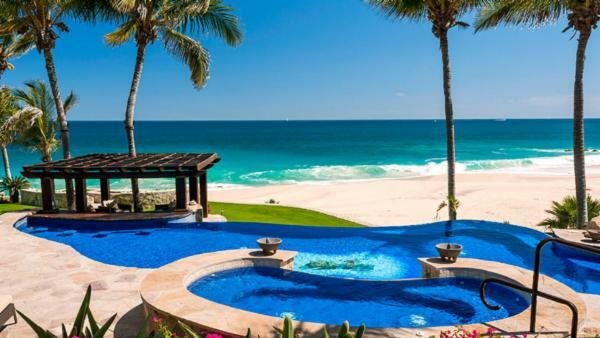 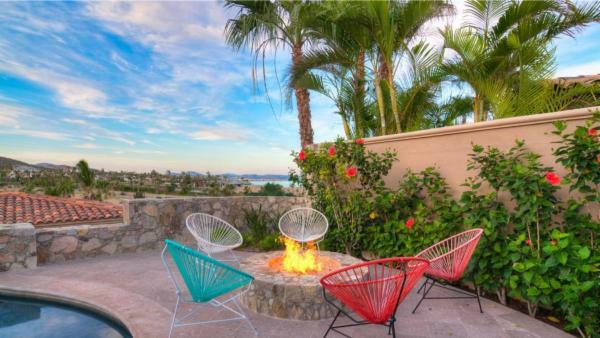 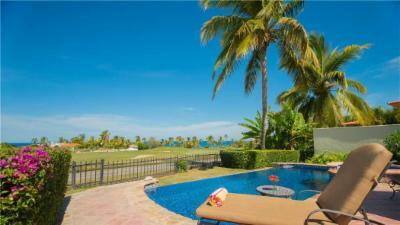 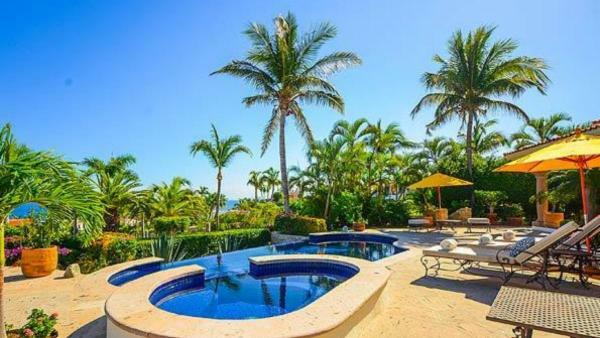 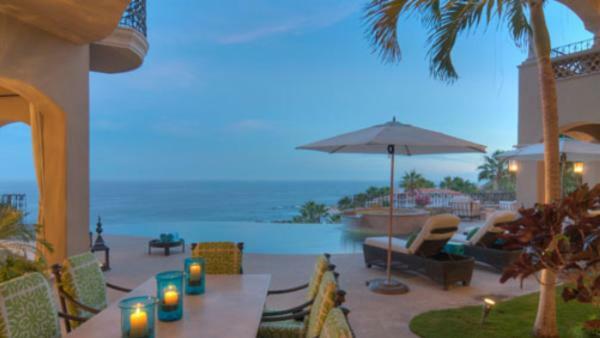 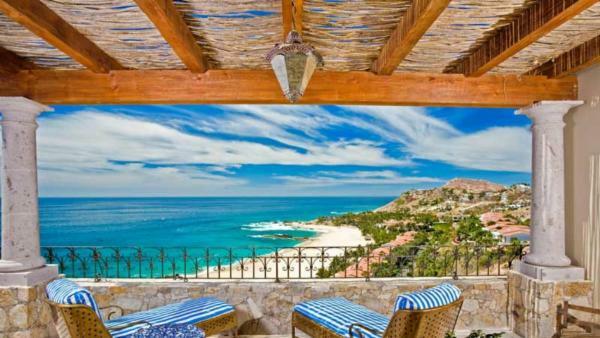 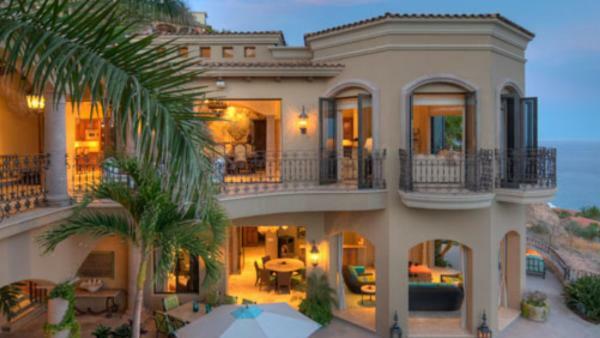 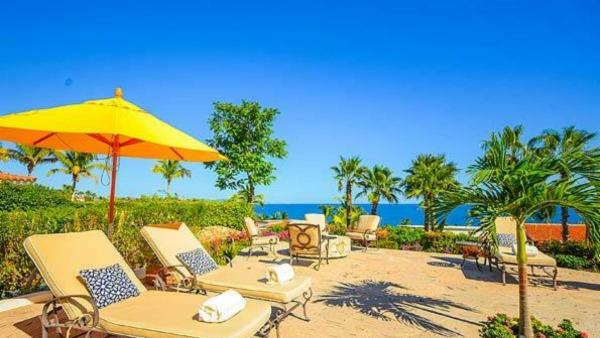 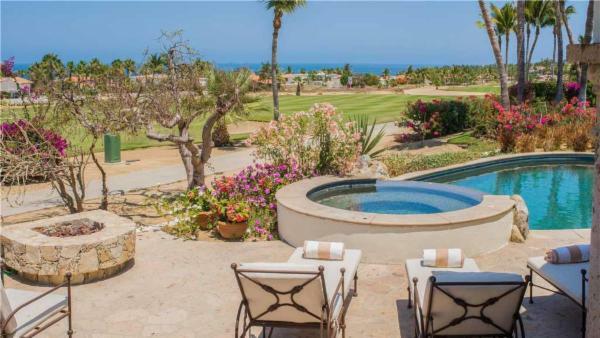 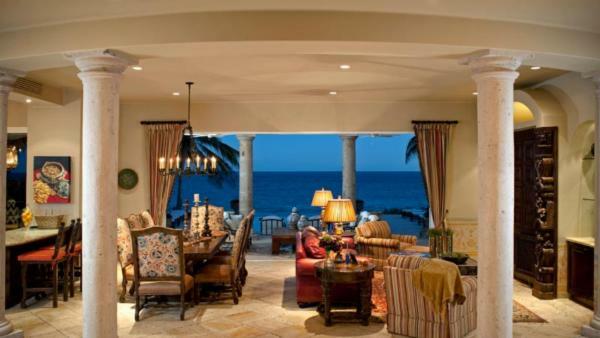 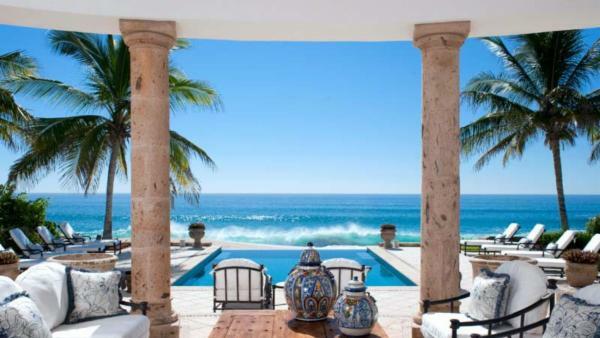 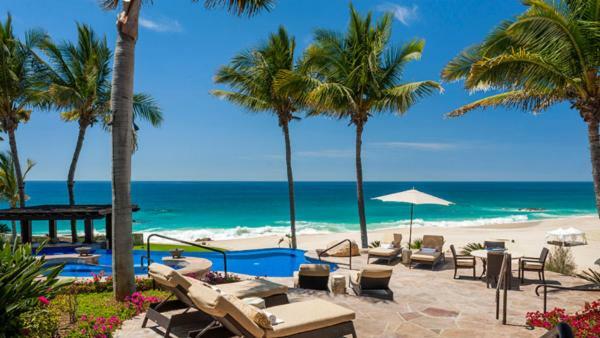 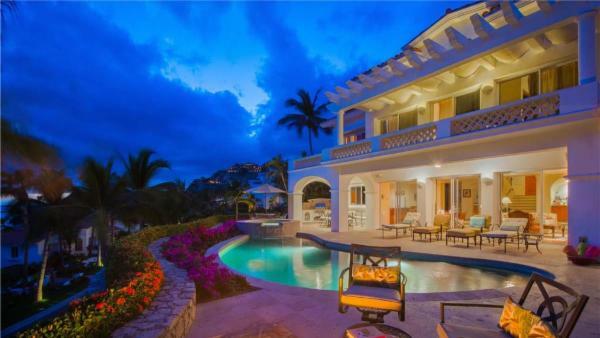 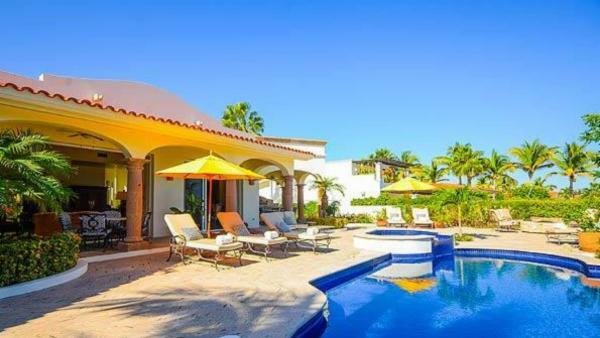 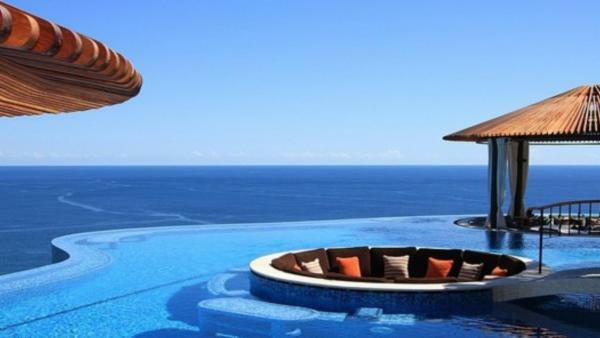 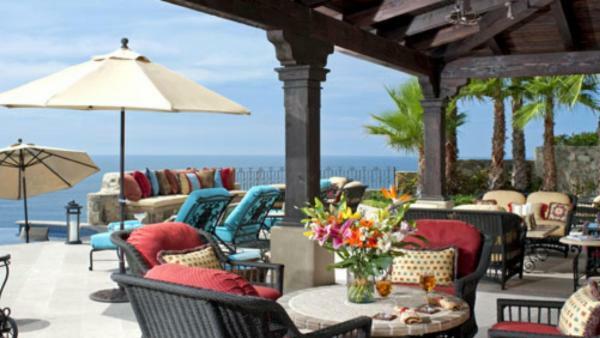 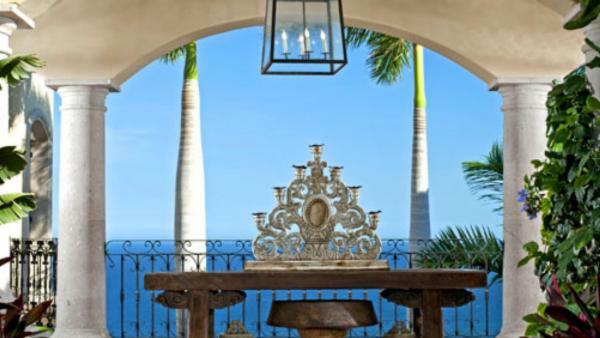 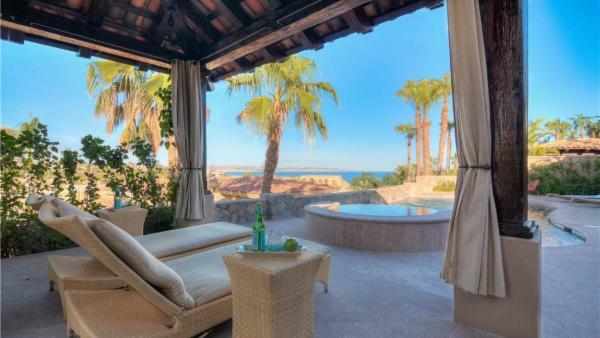 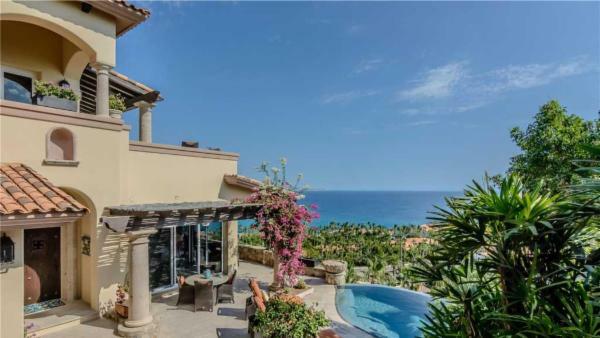 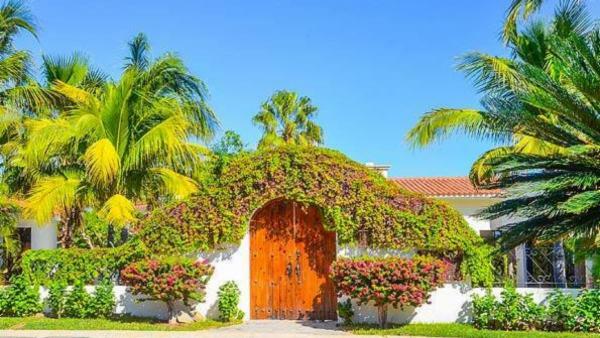 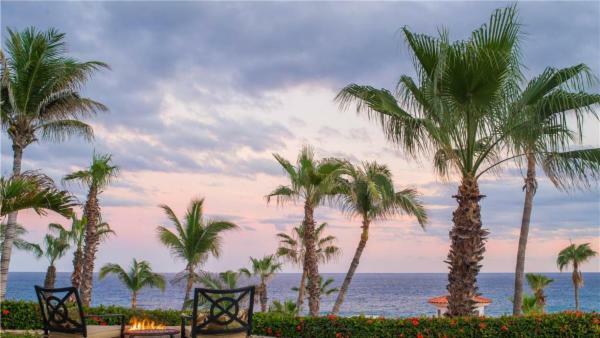 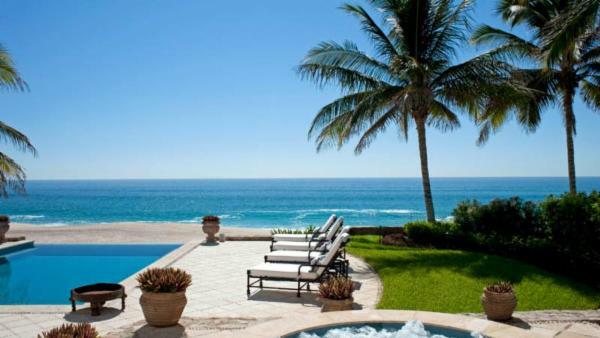 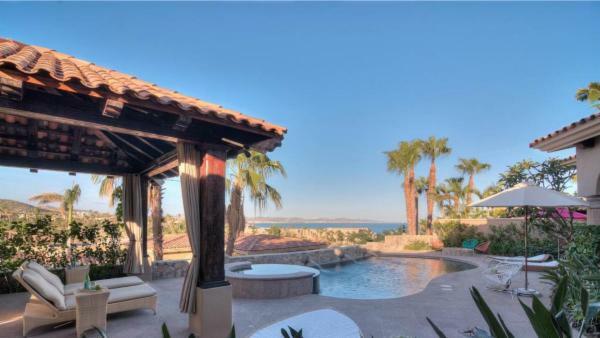 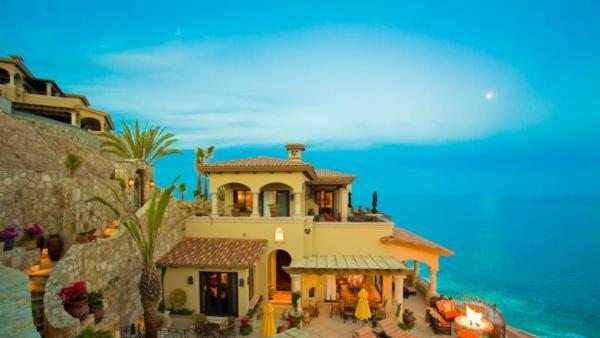 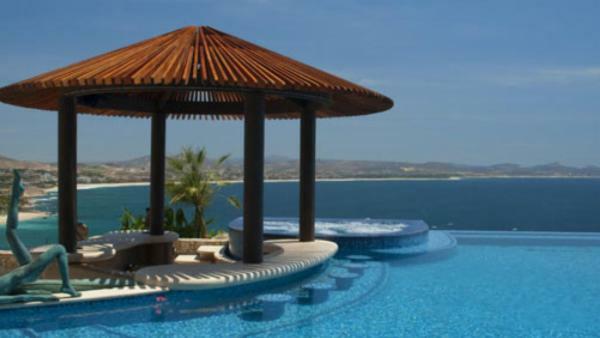 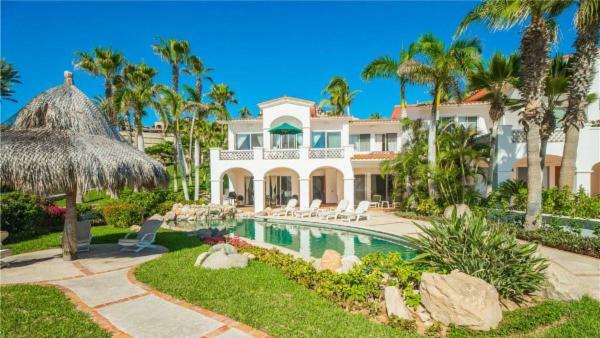 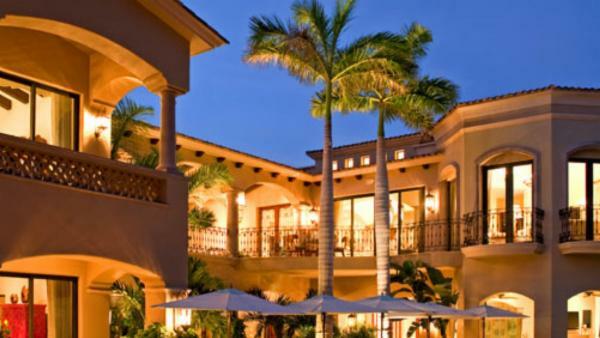 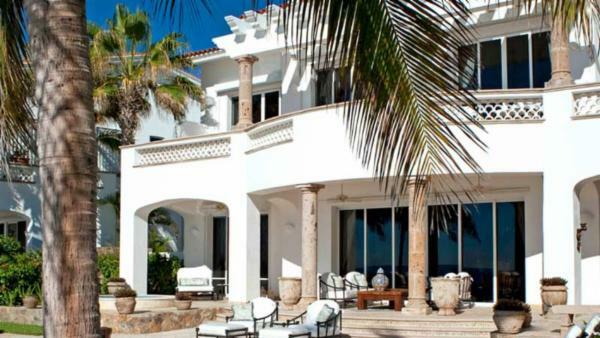 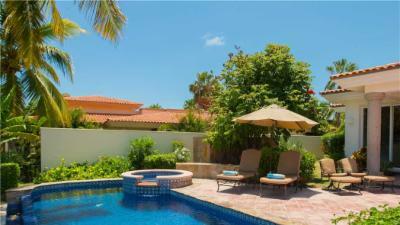 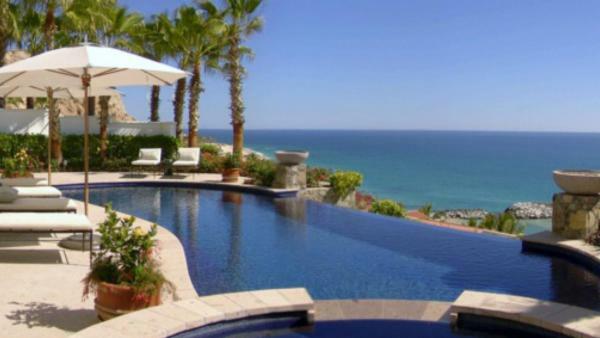 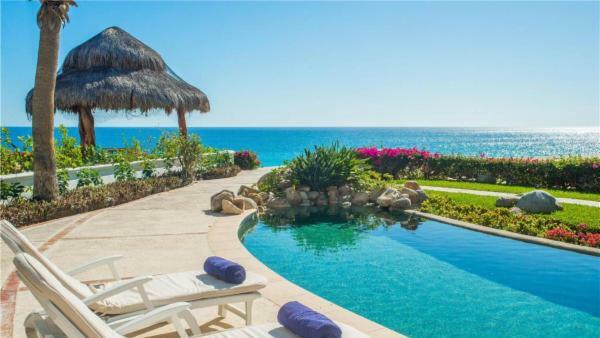 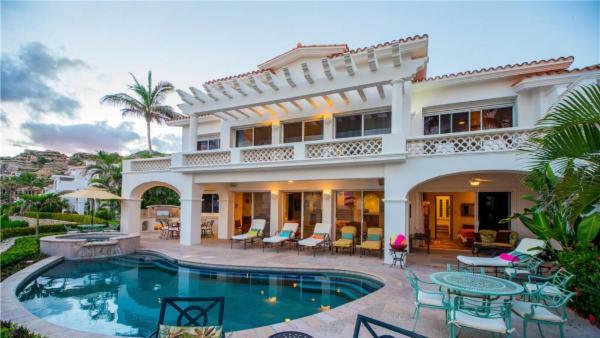 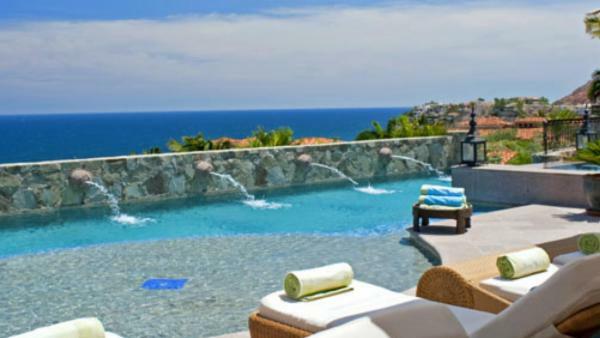 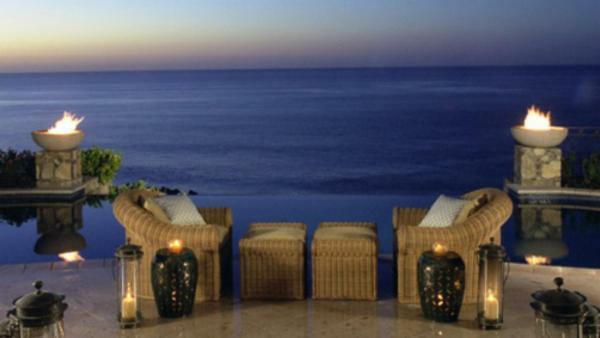 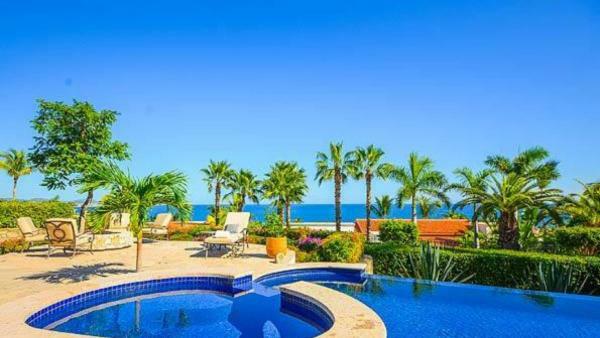 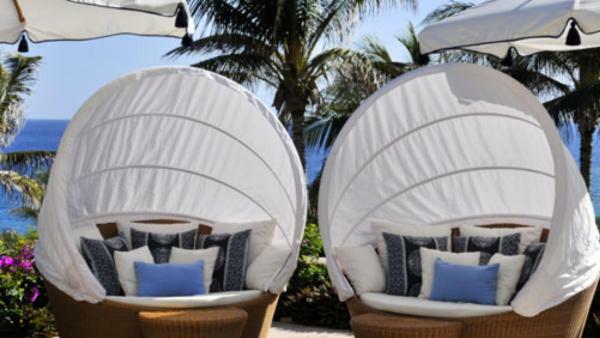 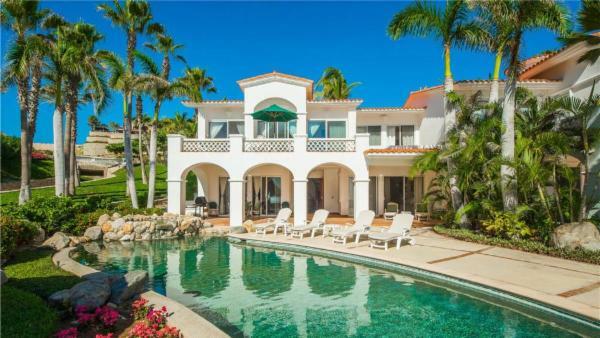 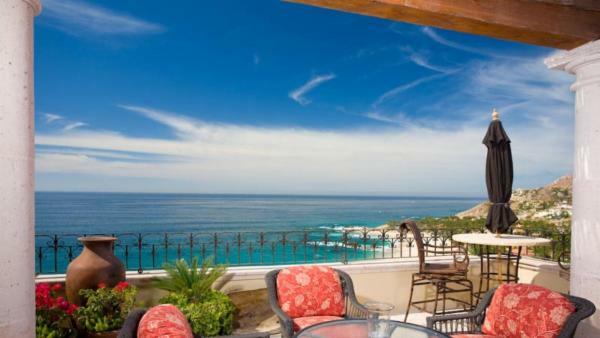 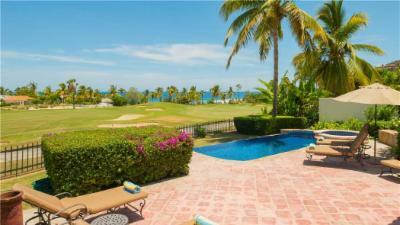 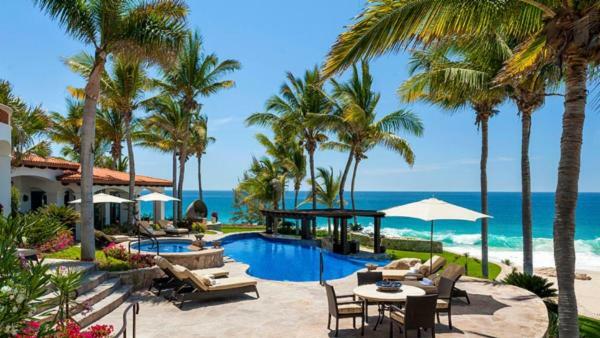 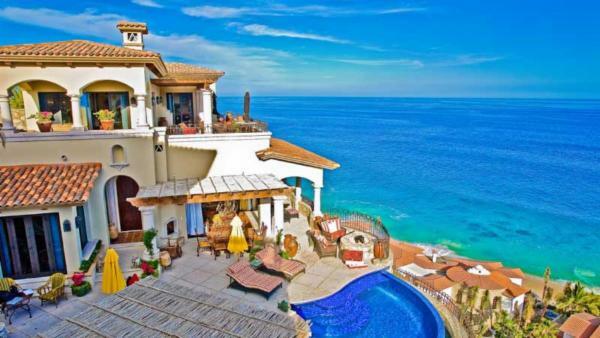 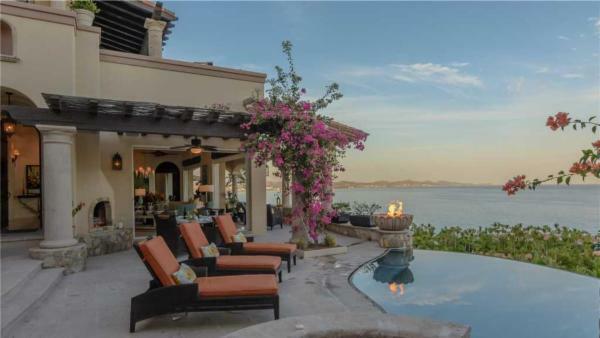 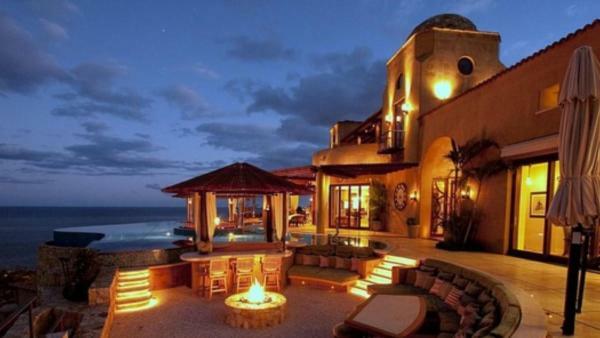 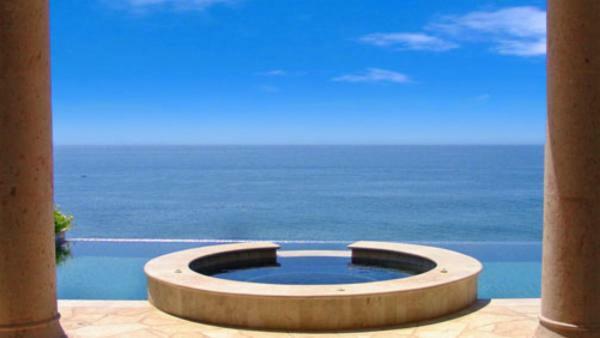 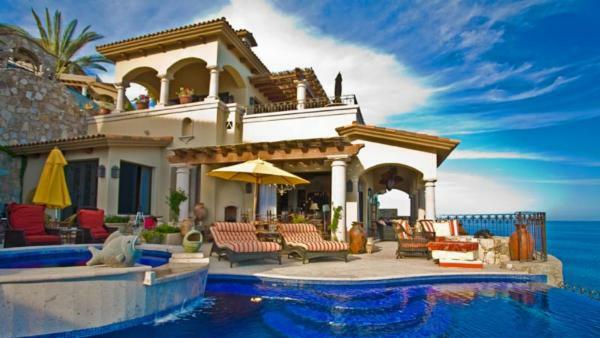 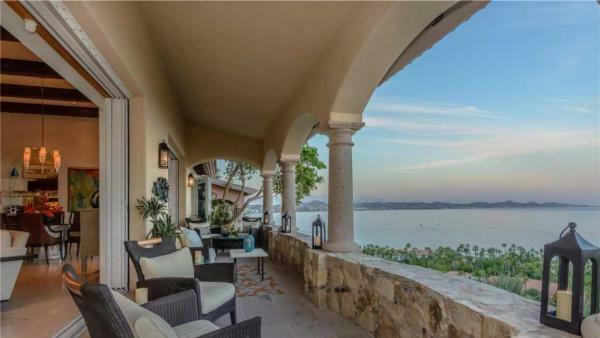 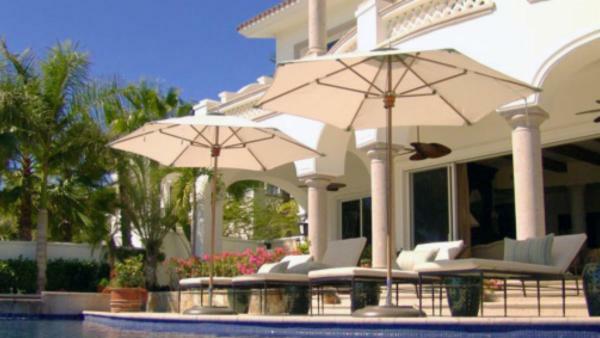 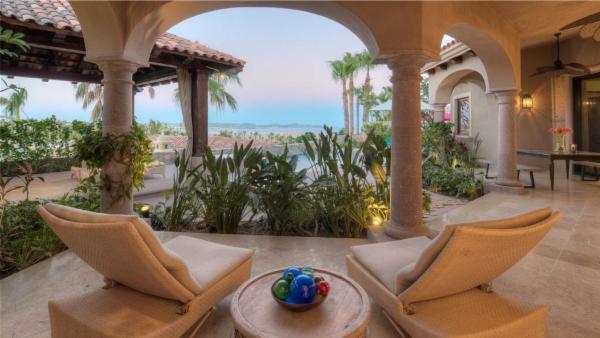 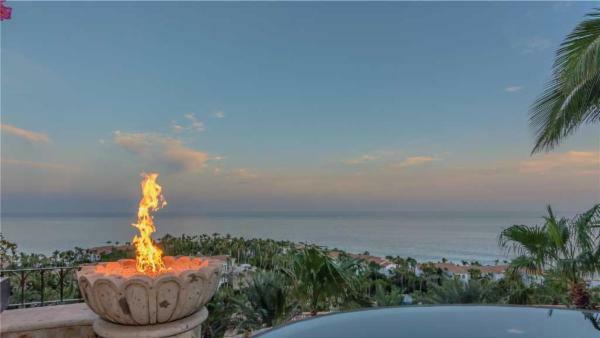 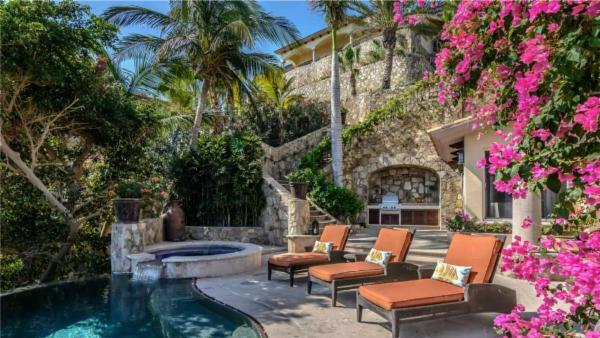 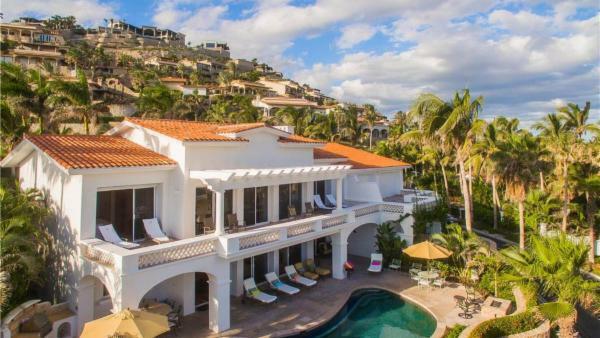 The level of luxury in our collection of Palmilla vacation homes will pamper even the most seasoned traveler. 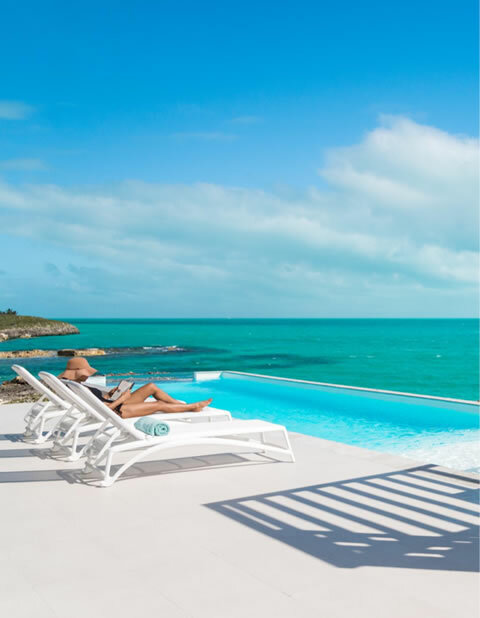 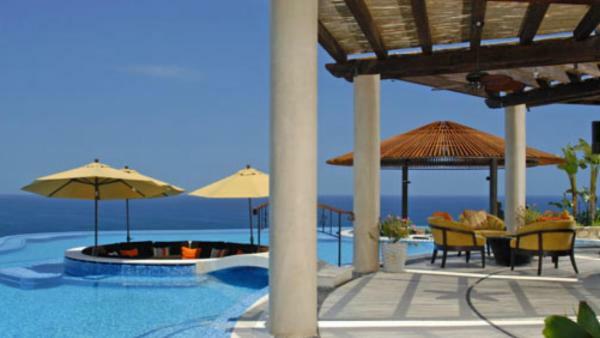 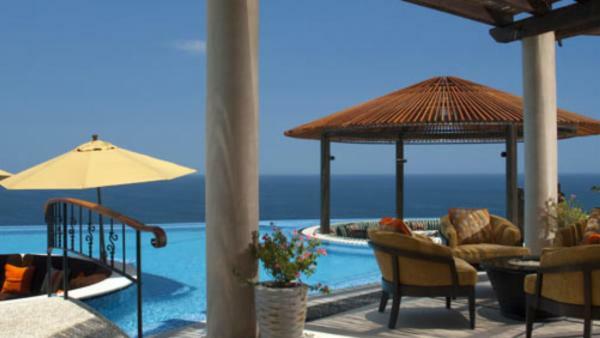 Our exceptional holiday villas range from an intimate 2 bedrooms and 3 baths to a palatial 9 bedrooms and 10 baths and can comfortably accommodate up to 18 guests. 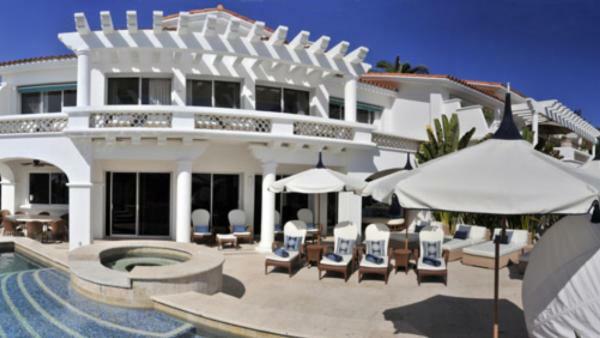 Outdoor amenities include beachfront location with easy access, manicured grounds with tropical foliage, enormous outdoor entertainment decks with native stone flooring, large private pools, built-in hot tubs, palapas with additional covered and open lounge areas, reclining sun beds, complete outdoor kitchens and al fresco dining areas. 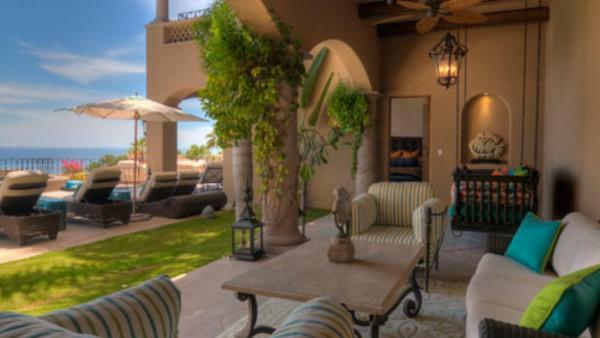 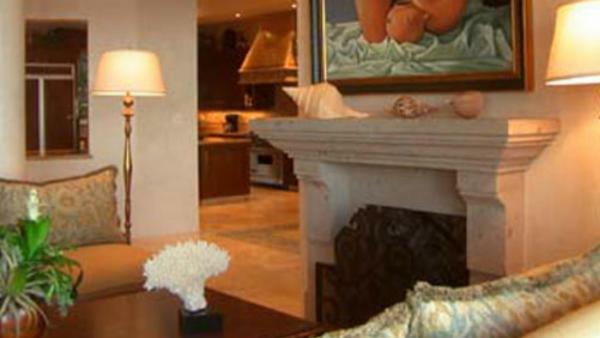 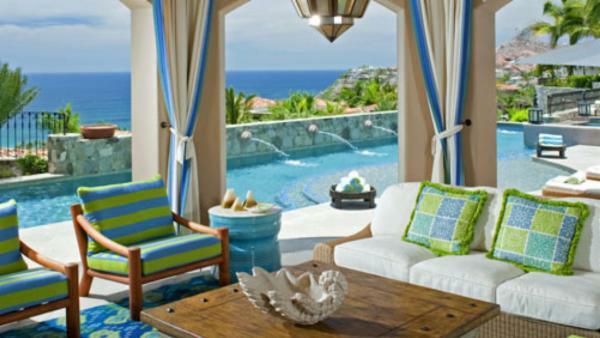 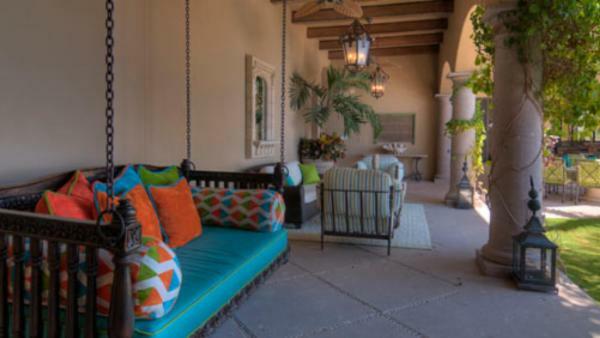 Interior spaces in our upscale Palmilla vacation homes are no less grand. 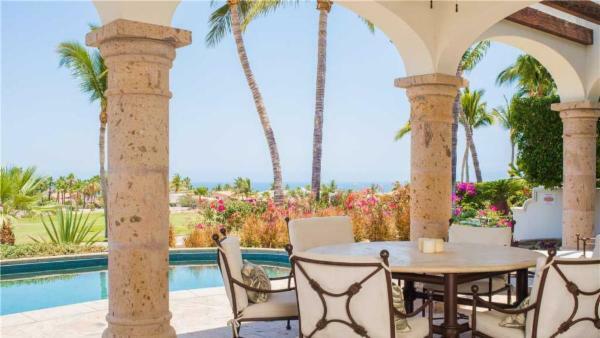 Expect soaring ceilings, massive stone fireplaces and sumptuous furnishings in the common spaces, with large French doors creating a seamless indoor/outdoor space. 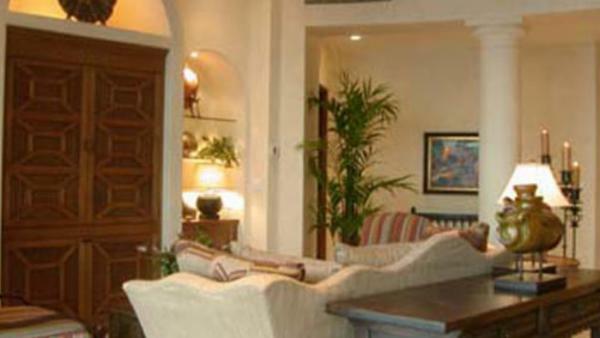 Fully stocked bars with pub seating make for enjoyable evenings in. 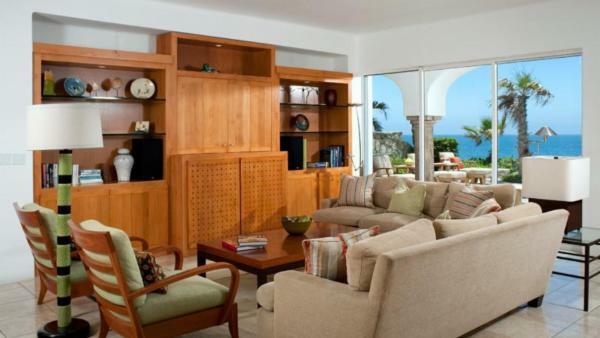 Media rooms boast massive TVs. 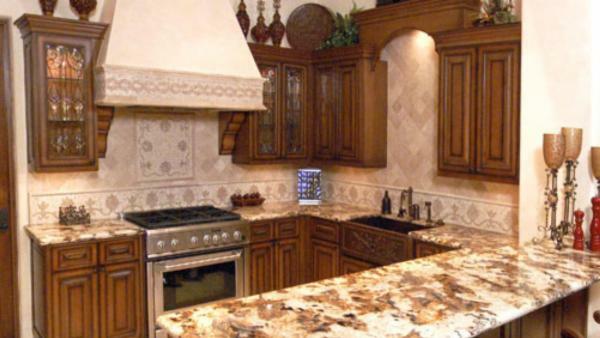 Gourmet kitchens with Sub-Zero, Wolf and Miele appliances are the standard. 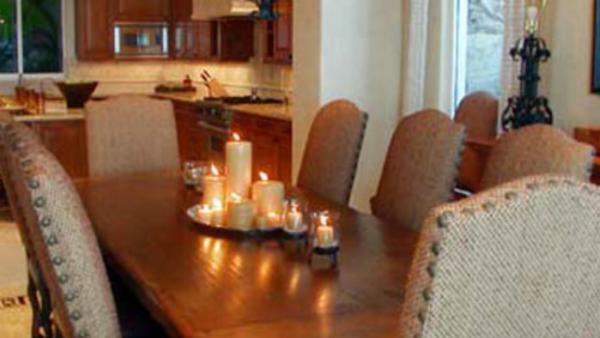 Generously sized and exquisitely outfitted formal dining spaces comfortably accommodate almost any size party. 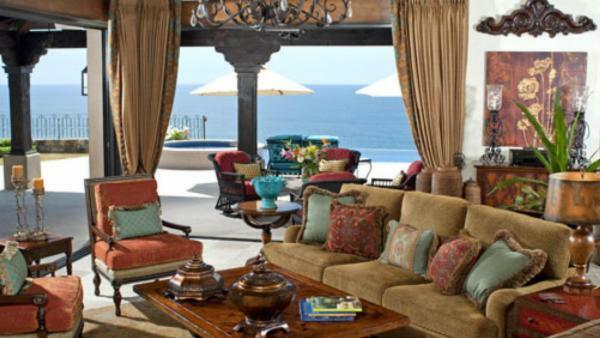 Bedrooms are private sanctuaries, with sitting areas and opulent en-suite baths. 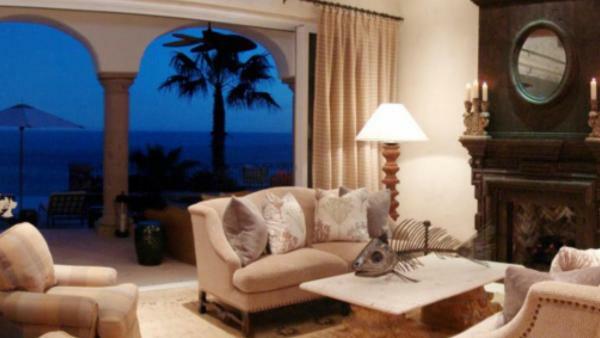 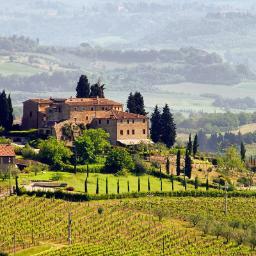 Electronics and home security are cutting edge and ensure your entertainment, safety and privacy. 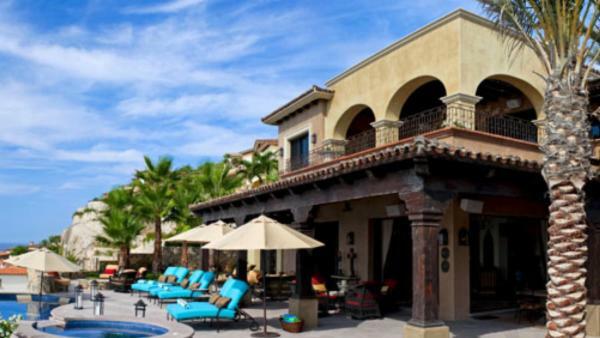 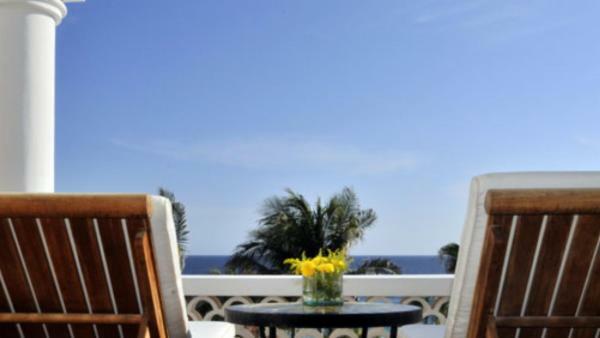 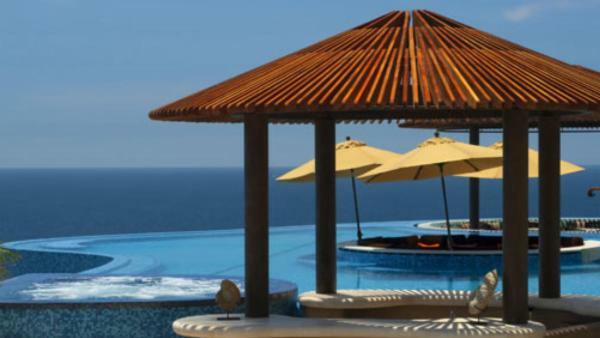 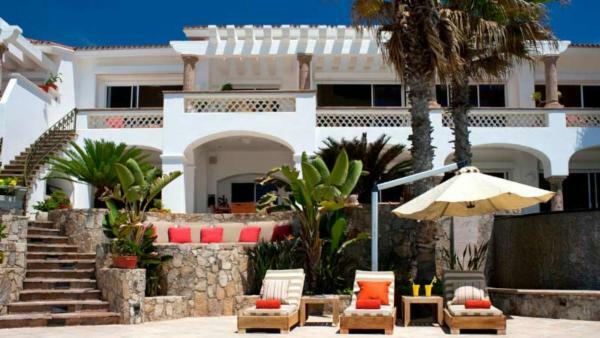 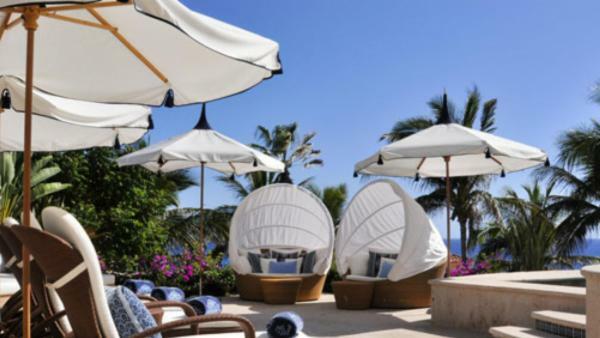 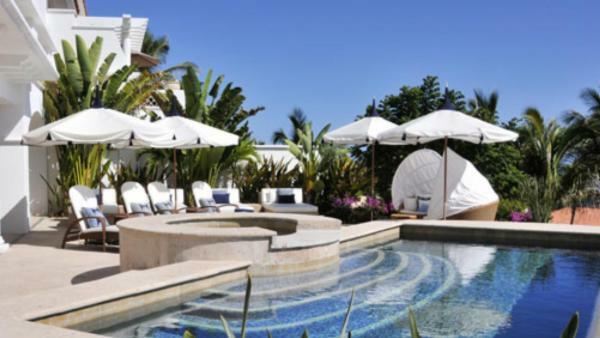 Palmilla visitors are just steps from the revered Cabo Surf Hotel. 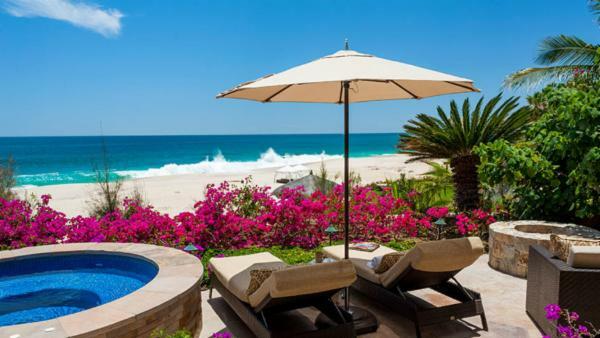 Not only does it have a reputation as one of the finest dining spots on the beach, it is also home to Cabo’s premier surfing beach. 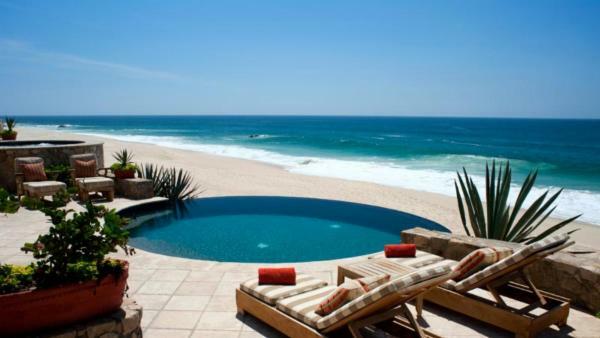 If you’d like, surfing and stand-up paddle lessons are available. 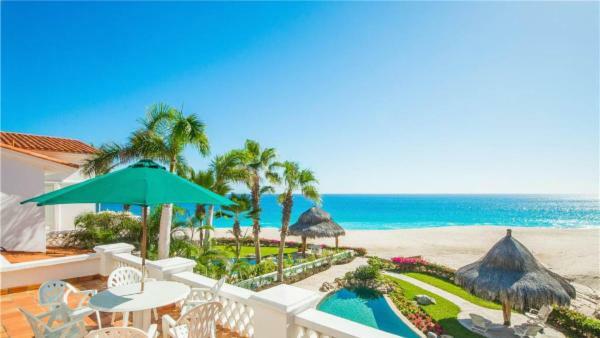 Enjoy a cocktail on the dining terrace and take in the sweeping water view and surf action, while also savoring an exceptional meal. 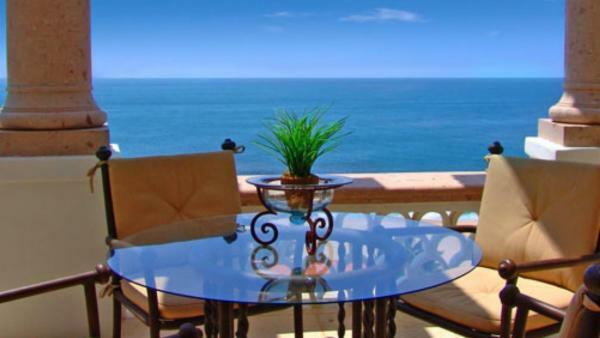 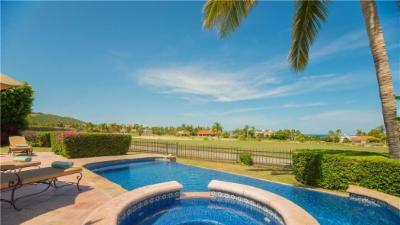 The charming town of San Jose del Cabo, is a popular destination and just minutes away. 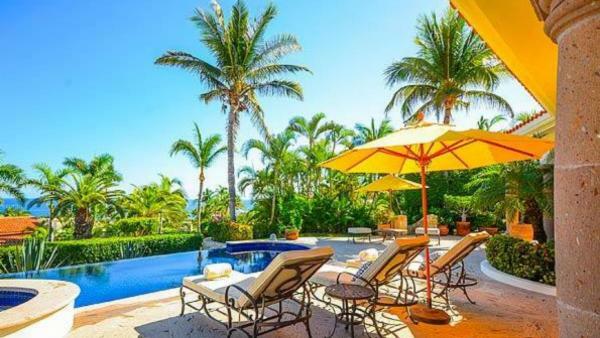 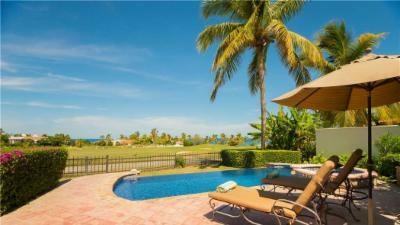 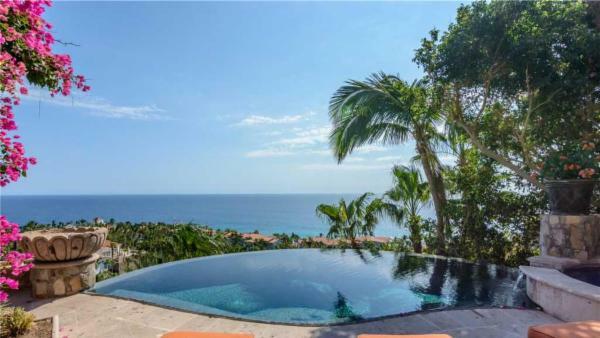 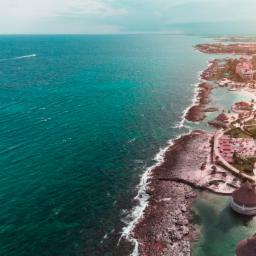 Visitors are just moments from sport fishing, swimming with dolphins, zip lining, snorkeling, ATV excursions, horseback riding, hiking, ultra-lite flying, and truly fine dining. 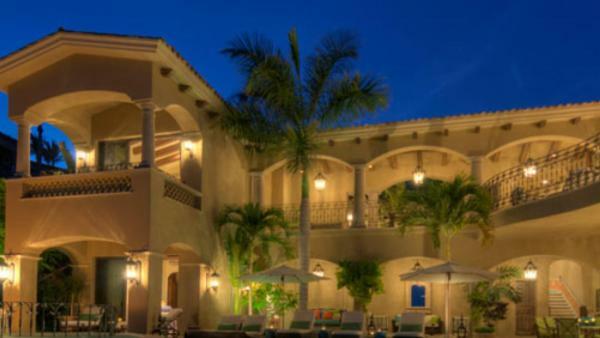 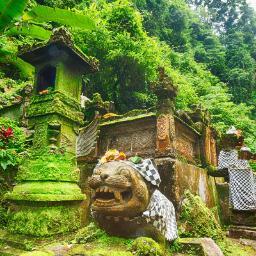 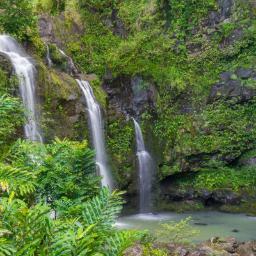 In addition, each Thursday night is the is the impressive “Art Walk” with numerous galleries open for browsing.